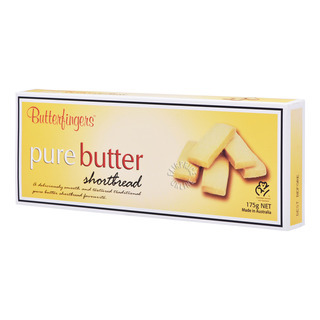 A deliciously smooth and textured traditional favourite. 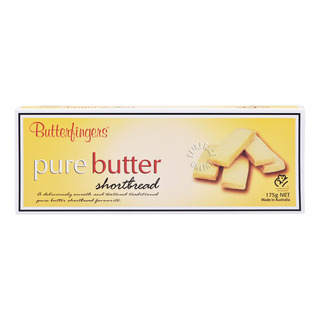 Smooth and buttery, Butterfingers Pure Butter Shortbread will melt in your mouth. Made from natural ingredients sourced from within Australia. 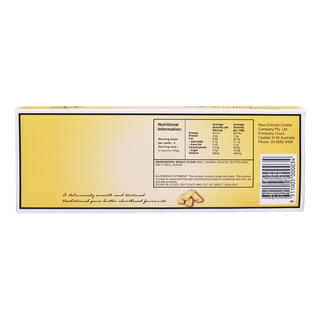 There are no preservatives, artificial flavours or colouring They are the ultimate accompaniment to after dinner entertaining or for that special.